Charter schools are public schools and any family can complete an application to be placed in a lottery that determines enrollment if they qualify for eligibility. Florida charter schools are tuition-free, therefore their funding is received from the state on a per-pupil basis. According to the Florida Department of Education, “Florida charter schools [play] a key role in increasing parental options in public education and providing innovative learning opportunities for students.” So if families are not satisfied with the local school, seeking out a charter school, with no additional tuition, is a viable option. How are charter schools different from neighborhood public schools? Even though it may seem that they are the same, there are many factors that make them different. The charter document is that is established between the school and the state must have specific outcomes and goals that need to be agreed upon and it is evaluated after a specified time. The charter will not be renewed if the school is not making effective progress towards their education and community goals. Also, charter schools can create innovative practices among students, teachers and parents that might not be found in general public schools that increase and stimulate academic improvements. Charter schools can establish their own hours and school year length as long as they meet the expectations of the state. Lastly, even though charter school administrators are not required to be certified, all educators in the classroom must hold all state certifications. What’s an example of an innovative practice? The Lake Wales Charter Schools (LWCS), which are made up of almost 5,000 students dispersed within four elementary schools, one middle school and one high school are located outside of Orlando, Florida. Their commitment to maintain a smaller sized “district” in Florida has provided them with the ability to focus more on what is happening inside their classrooms and thus their excellent success. 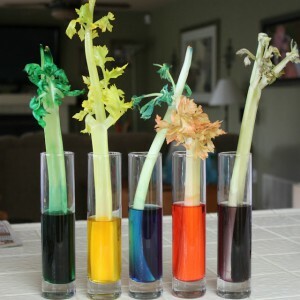 One of the LWCS elementary schools, Hillcrest, School of the Arts, uses Science4Us as a part of their K-5 Science Program in addition to FOSS kits. 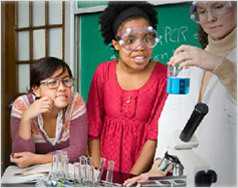 Betty Finnell, a science resource teacher, notes that providing her students with access to Science4Us will help “drive them so they are ready, prepared and successful.” This additional innovative resource that can be used with all of their Google Chromebooks, provides additional learning experiences for these charter school students.